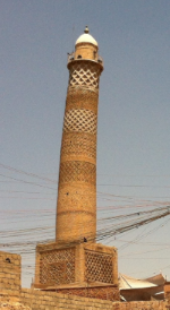 An 800-year-old mosque in Mosul, Iraq has been destoryed. The Iraqi government blames the organization Islamic State (IS, also known as ISIS) for the destruction of the Great Mosque of al-Nuri. The IS says that a United States airstrike blew it up, but the U.S. says it had nothing to do with it. The IS took control of Mosul, Iraq’s second-largest city, in 2014. Since 2016, the Iraqi troops have been trying to get the city back. The IS is a group whose aim is to establish a state for Muslim people where strict Islamic law is followed. 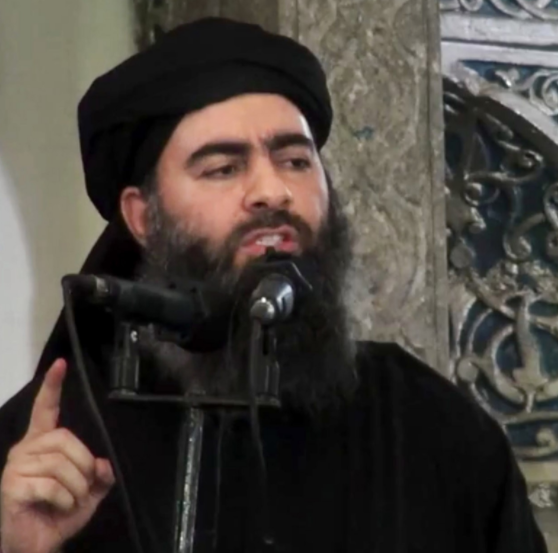 The group’s leader is Abu Bakr al-Baghdadi (image). He calls himself a spiritual leader of the Muslim people. The IS came out of another group in Iraq. It was well-funded and became very powerful. In 2014, the IS started taking over large parts of Iraq and then moved on to take over parts of Syria.